Sometimes I will take the longer back road trips to Lethbridge from our home in Coaldale to see what wildlife or sites I can find. 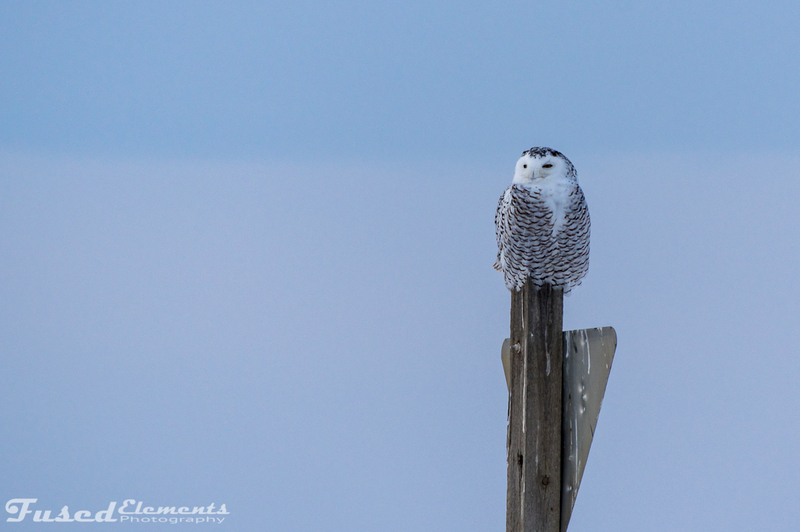 I happen to drive right by this Snowy Owl before I noticed. After stopping a distance away to ensure that I didn’t startle or cause and undo stress used the longest lens I had to capture the owl on it high perch.